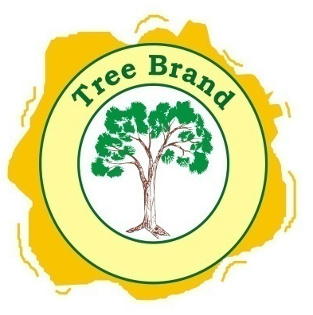 Gujarat Ambuja’s Tree Brand is a well established brand name of international standard and is well known for its best quality yarn in most countries. The factory building & residential township are shining examples of true spirit, which encompasses the fundamentals of an eco-friendly and pollution free environment. Un-interrupted power is available from our 11 MW Thermal Power Plant at a cheaper price with comparison to the State Power. Conceived in 1994, with a capacity of 70,000 spindles to produce yarn of 40 mts per day. Manufacturing of high quality cotton Carded / Combed, knitting / weaving single and TFO doubled yarn with a count range of Ne 9s to 40s. State-of-the-Art Machinery having auto leveler LMW / Rieter LC 363 / C 60 card and RSB 851/ D-35 draw frame, LMW LK69 / Rieter E 65 comber with LD2 / D -15 Draw frame and LH 15 / E 32 Lap former, Speed frame LR 4200 A, Ring Frame KTTM 240 with auto doffer / KTTM 300 with Link Coner QPRO Muratec with Uster Quantom 3 yarn clearer with Bobbin transport system, Precision Cheese winding and Savio T.F. GAEL believes "Quality is Our Identity" and hence Quality is the core strength of the company. To ensure this, the company has On-Line & Off-Line Process Control Systems at every stage of the production. We meet yarn parameters in the range of 5% to 25 % international Uster standards. The premium quality cotton yarn is exported to various countries across the Globe including Europe, South East Asia, Fareast and the middle east. The yarn is used by internationally reputed brands for manufacturing of latest fashion garments / terry towel and home furnishings.